The net seems to be full of interesting rumours that isn’t true about various things. They are flourishing on the net and they are difficult to stop. One of them is about 68080 FPGA which is taking full control of the Amiga. Other rumour about 68080 is that Commodore Amiga 500 home computer is out of sudden no Amiga computer when the 68080 accelerator is installed. Well, in this article I try to explain about 68080 and it’s Amiga compatibility that you should know about. No matter what other says. The reality is that every Amiga computer that was released by Commodore from 1985 to 1994 was released with lots of expansion possibilities. You might think that the Amiga 500 is not that expandable, but the 68000 CPU that sits inside of the machine is sitting on it’s own socket, which makes it easy to replace. You don’t need to do any soldering. In fact. This 68080 FPGA accelerator manages to make Amiga 500 closer to the bigbox Amiga 2000, which was way more expandable in the late 80’s. However, this card moves the Amiga 500 home computer into a modern era. The Commodore Amiga 2000 actually got lot’s of expansion capabilities before Amiga 3000T came at the end. It was the most expandable Amiga of all Amigas that were made by Commodore. Amiga 500 are made to be expanded. The 68000 CPU that is located on the Amiga 500 motherboard is even on a Socket. 68080 FPGA Vampire V500 V2+ installed inside Amiga 500. Sitting like a King in the Socket! The standard CPU inside any Amiga 500 is not soldered at all onto the motherboard like the 68020 CPU is on A1200. 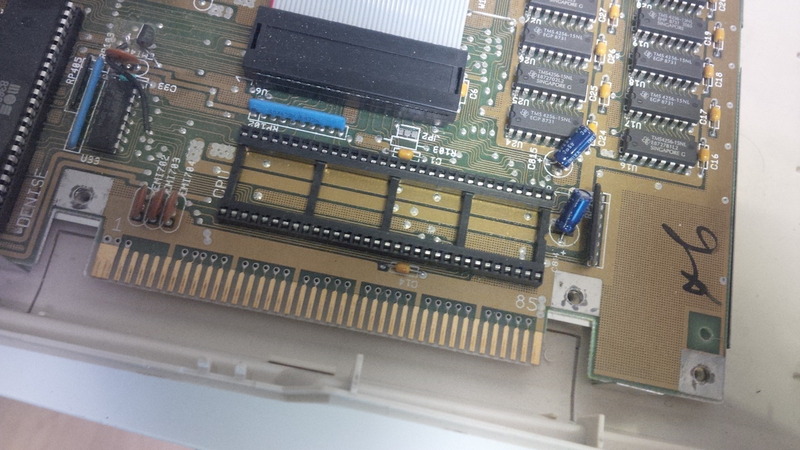 So, when you replace the 68000 with a 68080 then you take off the Amiga 500 case, take out the 68000 CPU gently out of it’s socket and put the 68080 FPGA board into the same socket. It manages to give the Amiga 500 more powers. It’s quite a change, but the Amiga keyboard, CIA chips, Paula and all of the Amiga 500 connectors is still the original Amiga. You can still upgrade your Amiga 500 with other expansions. But with 68080 you can use AmigaOS in 1280×720, you can play MP3’s thru Paula sound chip and you can watch Video which is freaking awesome! 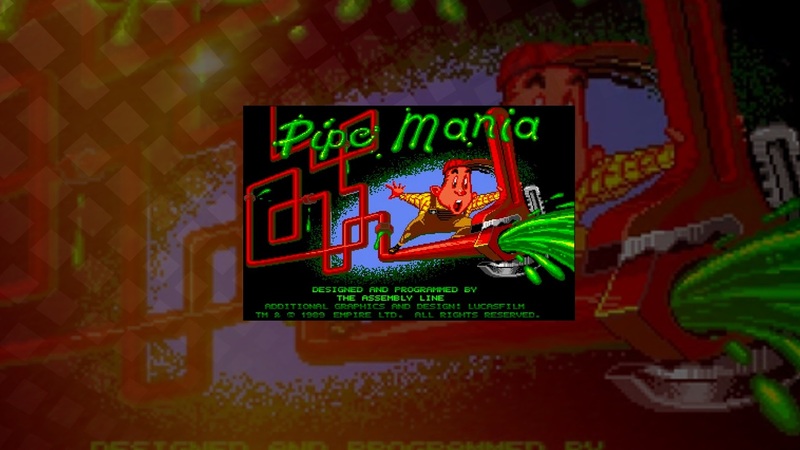 At the same time you can play your OCS Amiga games! And once AGA Amiga compatibility is out. Then it will be really, really awesome! Either it’s a Amiga 600, Amiga 3000 or even Amiga 500. You have upgrade possibilities. Amiga 500 also had CDTV expansion that is named A570 quite early. 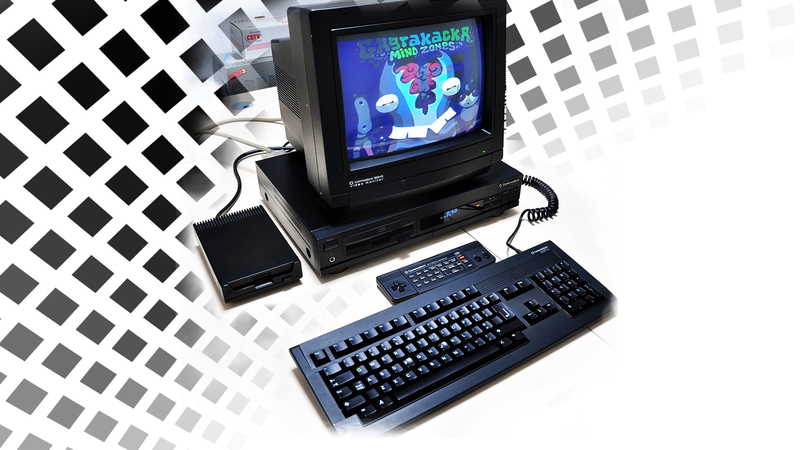 It transformed the Commodore Amiga 500 to a Amiga CDTV. Is that bad? There is also Graphics cards for Zorro II bus board for the bigbox Amiga home computers that is ONLY working in the Amix (UNIX from Commodore) enviroment. Is that wrong too? So, to conclude this 68080 FPGA card is stripping Amiga for its original ideas rumour. The 68080 is just another upgrade for world’s best home computer that you can have purchased. The 68080 is 100% code compatible with 68060 too. All of the 68060 apps works on 68080. The Shapeshifter and iFusion 68k emulators for the Amiga runs without issues on 68080. Mac emulators for the Amiga doesn’t need to emulate the 68k CPU, because the classic Amiga hardware got the same CPU’s as the 68k Mac’s. Even when an Amiga with a Apollo 1260 or another 68060 accelerator emulates a Mac, it’s still faster than the fastest 68k Mac since 68040 was Apple’s last officially supported CPU before they jumped over to PowerPC (and now Intel). The 68080 FPGA programmable chip that sits on the Vampire is a real construction of a 68k CPU or else these Apple macos emulators wouldn’t run. It is also 100% code compatible with 68060. Apollo Core 68080 is the natural and modern evolution of latest 68000 processors. It’s 100% code compatible, corrects bugs of 680×0 designs and adds on top most of the cool features which were invented the years after. The magic that 68080 gives in speed boost can be seen on AmigaOS when playing the Mac version of Duke Nukem 3D in MacOS 8. It really flies on my accelerated Amiga 500! And even better than the officially port that is found for AmigaOS. To upgrade the Amiga 500 with 68080 FPGA is just another upgrade. There are also other upgrades available for Amiga 500, but this one from Apollo Team manages to move the most sold Amiga ever in history to modern times. These 68080 accelerators came in 2016 and 2017! They aren’t made by Commodore, but many accelerator cards for the Amiga in the history have been made by 3rd party hardware developer like Elbox or phase5 after the demise of Commodore. These 3rd party accelerator creators made many different Amiga accelerator cards when no one owned Amiga at all too. This includes 68020, 68030, 68040, 68060 and even combo 68040+PowerPC and 68060+PowerPC. Apollo Team have released the 68080 FPGA as an real Amiga upgrade for Any Amiga home computer that it supports. It takes control over CPU, Kickstart and some MEM. Chip RAM isn’t affected. The same with the Paula chip or the keyboard controller. You can still upgrade your Amiga 500 with A570 CD-ROM upgrade or even get yourself an Plipbox Ethernet device as explained in this article. Commodore as a company, gave the Amiga many upgrade possibilities. From the very first moment when I got my first Amiga 500, I found many interesting addons and upgrades for my Amiga 500 in CU Amiga, Amiga Format etc. And after some time, I also got myself a 512KB RAM upgrade for my Amiga. Now I could play Lotus III which was the game that my friend with Amiga 500+ could play and not me! So, for me its a natural thing to upgrade the Amiga with something new. Amiga is a Transformer. Commodore made it that way and that’s why I love and appreciate everything that Apollo Team, Plipbox developer and more does for the Amiga. They increase the lifespan for the Amiga and we as the users have choices. Merci! Takk! Thank You! Now, get that 68080 accelerator! It’s worth it. If you have more questions regarding 68080 accelerators for OCS and ECS Amiga’s. Check out the Apollo Core site where you also have a Forum where you can ask questions directly to the Apollo Team.